Berkley, MI – Sunnyknoll Avenue is a street in Berkley. 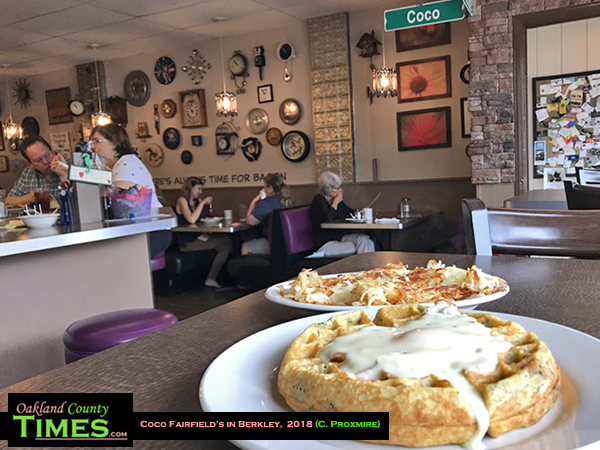 It’s also the namesake of the Sunnyknoll Savory Waffle at Coco Fairfield’s. Several of the diner’s specialties have locally notable names. Buckingham Bennies. Franklin French Toast. Kenmore Cornbread Waffle. Brookline Burrito. 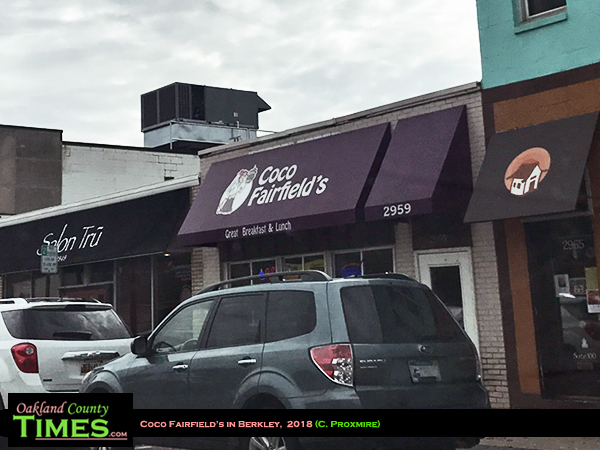 All have fans in the regular customers who enjoy the thoughtful foods and quirky atmosphere. 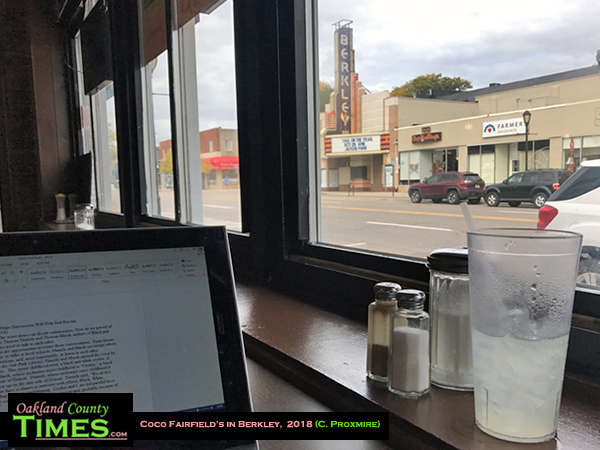 At 11am on a Tuesday the wall of clocks on Coco Fairfield’s wall began to ring, jingle, and coo-coo while I sat in a window high-top editing a story and watching the traffic of 12 Mile. It was all pretty delightful. I ordered the Sunnyknoll Savory Waffle, and it was an excellent choice. 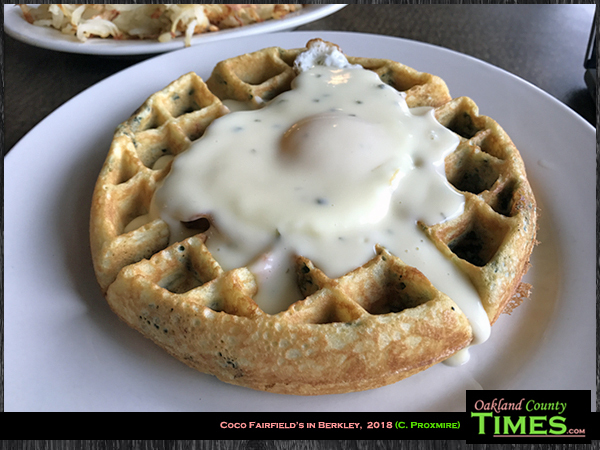 The waffle is made with sautéed red peppers, fresh spinach, onions and Parmesan cheese, topped with a sunny egg and Hollandaise sauce. I got mine with a side of hash browns, the yummy shredded kind. A glass of lemonade rounded out the meal.